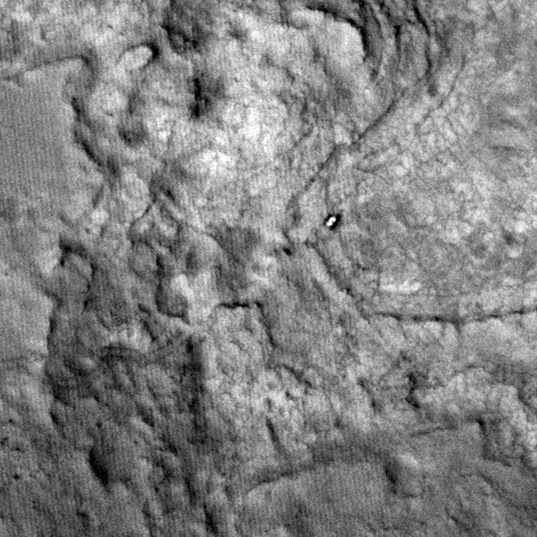 HiRISE shot this view of Curiosity and its tracks, leading all the way back to the landing site, on January 2, 2013 (sol 145). Curiosity was in Yellowknife Bay, at the site from which it took the "Grandma's House" panorama. 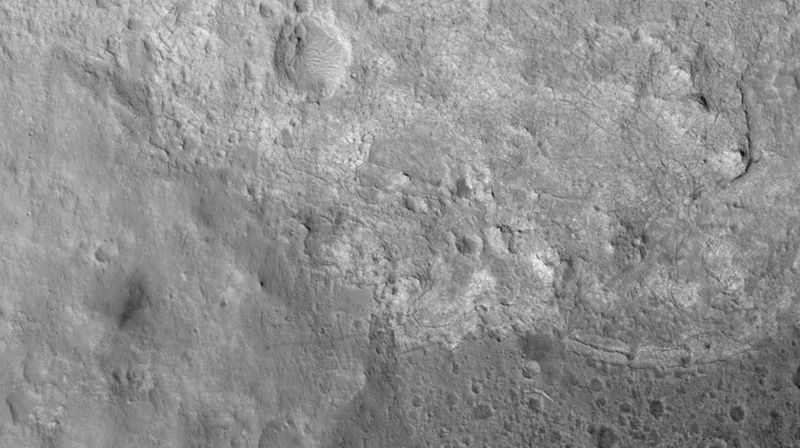 And here's a zoom at the highest possible resolution, showing the rover. It would be interesting to continue to the northeast and investigate the series of prominent joints visible in outcrop. They likely would host thicker vein deposits.